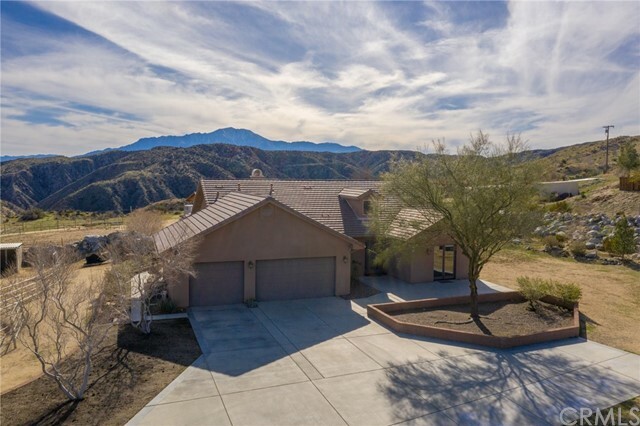 All Morongo Valley homes currently listed for sale in Morongo Valley as of 04/19/2019 are shown below. You can change the search criteria at any time by pressing the 'Change Search' button below. If you have any questions or you would like more information about any Morongo Valley homes for sale or other Morongo Valley real estate, please contact us and one of our knowledgeable Morongo Valley REALTORS® would be pleased to assist you. "The famous, fabulous, notorious 'Morongo Inn'. This place is as good as the photos. Built in 1924 and said to be a hide out for Al Capone and had many celebrity guests that passed thru it's doors. A movie set with 4 small cabins at one time; now only one small cabin remains. You can see what remains of a once magnificient swimming pool and other out buildings that include a school house from 1812. But after all this, the Inn has had just enough modernizing to make it a grand place for a B&B or a family's dream house. A master carpenter has worked on the house, modernizing cabinets and other woodwork. With 4 bedrooms and 3 lovely bathroomsin keeping with the times of the Inn, but updated and on the main floor, the old 'root cellar' is still in working condition. The property is zoned for multiunits and the extra 2 lots make this a property to fall in love with and ready for someone's grand plans. Come and see your dream in the 'Legendary California Desert'." "SPECTACULAR equestrian Estate! 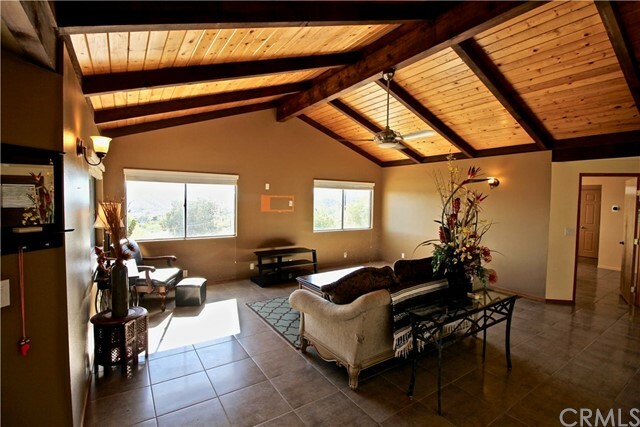 This beautiful home is situated for optimum privacy, nestled at the back of Little Morongo Canyon with Sweeping VIEWS. This home has been remodeled and updated featuring, grandiose living room with vaulted wood beam ceilings, brick fireplace, large VIEW windows, Large open kitchen perfect for entertaining, den with wet bar. Large guest bedrooms. Also, separate suite for guests, extended family or can be used for game room, you decide. Horse lovers! This 5 acre estate is fully fenced and gated, includes covered stalls, arena, tack room, covered hay storage, stud barn. ALSO included (paid for) SOLAR Wind Generator hybrid system! Enjoy Free flowing Water with your own WELL. plus 5000 gallon storage tank. Open your gates to endless riding and hiking trails. This could be a Grand bed and breakfast retreat. When you step on to this property you will never want to leave. Experience the Best inside and out!" "AirBnB rental income of $100,000 a year! Tranquil, peaceful, secluded country setting under the stars, with no light pollution, this luxurious hilltop villa has a flagstone pool, waterfall and spa with panoramic views, gorgeous kitchen, custom rock work throughout the home including both bathrooms, Bar-B-Que, gas fire pit on five acres with incredible sunsets and sunrises, enclosed pavilion with bathroom, hiking, 15 degrees cooler than Palm Springs in the summer yet only minutes away, conveniently located between PS and Pioneertown next comes Joshua Tree National Monument. Close to wildlife including jack rabbits, quail and an occasional coyote howling at the moon. Includes a workshop, 1000 sq. ft. 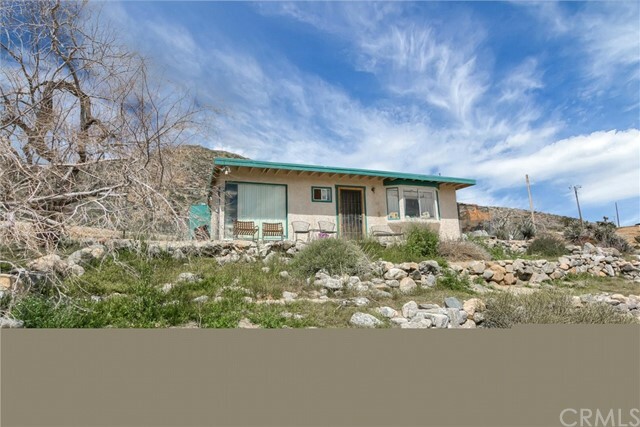 Rave reviews on Airbnb, OWC 2nd TD cabin/workshop rented $900 a month for last 3 years"
"The PALACE of Morongo Valley has been greatly REDUCED IN PRICE. Grand living located on a elevated one acre lot with stunning views. Only the finest went into this home. Enter to find towering ceilings, grand entry with drop down chandelier, twin wings flanking the entry for a greeting room and formal dining room, custom etched marble flooring and grand staircase. The formal living room is a step down enjoys a beautiful fireplace and two story ceilings. The kitchen is a masterpiece with walk in pantry, rounded center island with sink and plenty of room for breakfast bar, double oven, custom granite and tile. The lower level also boast a huge master suite with his and her closets, shower and oval tub, pebble floor in shower and tub steps, custom tile, double sink, the works! Add to this a downstairs laundry room with pet shower and a MEDIA ROOM. Up the stairs you will find more living space with an overlook down to the formal living room and a balcony that overlooks the desert, mountains, and Mt San Jacinto. Off the living space are 2 sets or very smart Jack and Jill rooms. Each room has a walk in closet and share a bath but each has it's own sink and vanity area. The windows area all custom and overlook the drop dead views. Outside you will find a meandering stained concrete driveway, cooling pool with waterfall, fruit trees galore, 2 car garage, covered patio with bbq area, concrete walk ways. The yard is tiered and fully fenced with auto gate. Located on a paved road." 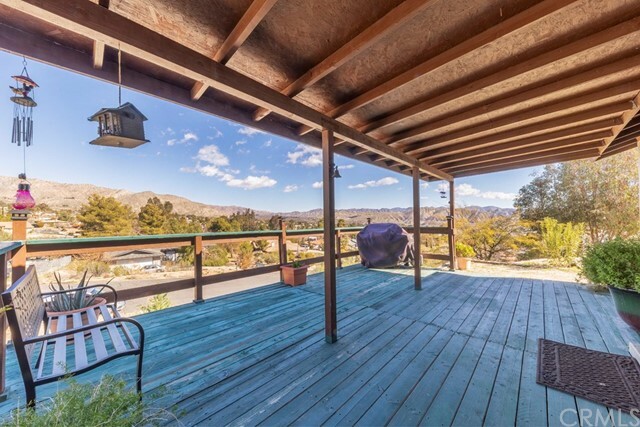 "Fantastic views of San Gorgonio Mountains! Beautiful entry leads you into a modern ranch home with cathedral ceilings and open floor-plan. Enjoy the high-end materials that were used in this 3Bd/2.5 bath home with a large office and covered outdoor patio. Granite counters, custom concrete patterned floors through-out. Master suite has double sinks, huge walk in closet with a private walk in shower. Custom materials and tiles are used for both the showers and fireplace. The see-through fire place is gas generated for easy starting. Two large central heating and air conditioning units for year-round comfort. Enjoy your designer gourmet kitchen with a granite/butcher block serving area, 5 burner natural gas stove, double ovens, extra large pantry. Hot water on demand. Impressive sunken wet bar and wired speaker system is great for entertaining. French doors, clear-glass front door, huge indoor laundry room with extra storage, 3 car garage. Barn type building used for storage and tack room. Darling chicken coop. Lighted basketball court, corrals, auto watering system and loafing shed for the horses, 3 zoned watering systems, gas BBQ included. Rolling security gate. Long and wide concrete driveway. Block retaining walls and hand crafted boulder walls and drainage areas. Enjoy the feeling of wide open spaces without the travel on dirt roads. Close enough to Hwy 62 for quick trips to Joshua Tree National Park, Pioneertown, Coachella, and the Palm Springs area." "Amazing find! Tucked so close to hills that the driveway is flanked on one side by the granite hill. This artistic designed home speaks PEACE and is designed with many private spaces. Upon entering the home you will find towering pine tongue and groove ceilings, open beams, massive natural rock fireplace and huge windows. The rock fireplace is not on an outside wall but breaks the space between the living room to kitchen and dining areas. It has a built in wood stove on the kitchen side. The living room flows to a sun room that has been designed to catch the sun in the winter and stay shaded in summer. The room is all windows and views. There is a bar room on the backside of the fireplace that lends an additional private space in the living room. Off the bar space is the kitchen with more towering ceilings and a wall with sliding window that leads to a meditation patio with fountain. The bedrooms are designed with many guest in mind. The master is at the very end of the house and there are several spaces between rooms. Library room, office room, plus the two bedrooms. The home has both central air and evap cooler. Outside is a large swimming pool surrounded by willow trees and a pergola for shade during the hot days. The pool is well placed and the mountains provide shade to protect it from the late afternoon sun. Storage shed + little barn. This FIVE acres is located between Palm Springs & Joshua Tree with the Sand To Snow National Monument for your backyard." "Six possible short-term rental units with own water well that feeds ALL 6 units and owner collects directly from tenants a set amount per month. 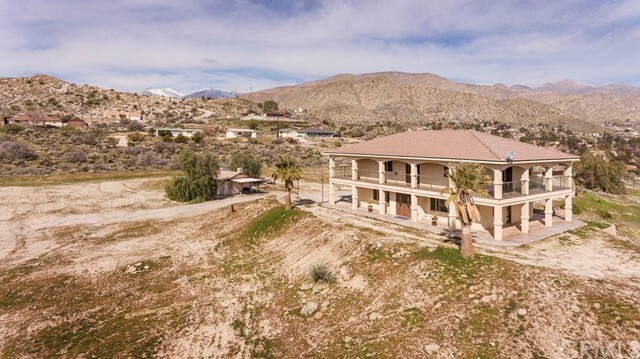 This property sits right smack dab in downtown Morongo Valley, just 20-30 minutes and you are in the Joshua Tree National Park, 15 minutes to Palm Springs! Seller will carry balance with half down at a rate agreed upon by seller. The property is behind Willie Boys restaurant and bar. Super easy to turn these now month to month rentals into vacation rentals !! What a DEAL. Call before it is too late." "The house that is the talk of the town. Perched high up on a hill in the pave road neighborhood of Juniper Heights this newer home has it all. The double door entry leads you to the multi-purpose living area with open family room, dining room, kitchen, living room and guest bath. The entire downstairs is living area with giant windows and incredible views. The kitchen is a beauty with a ton of counter space, all granite, update appliances and breakfast bar. When you move from downstairs up the grand staircase you will find 4 bedrooms, and 2 more baths, plus a laundry room. The master is quite a prize with an attached office or infant area. The master bath is lavish with oval jetted tub, dual sinks, walk in closet, separate tiled shower, travertine and granite everywhere. Each of the upstairs rooms have great windows with modern coverings. The laundry room houses a 60 gallon water heater. The upstairs hall way has a landing area with doors leading out to the patio which runs the full length and width of the home. 360 degree views! Add to this dual zone hvac, loads of storage, custom doors, natural gas, paved road, wired for security, fenced 3.5 acres and a private well with new pumps! Huge iron entry gate, 1 car garage that has additional storage room. House was rebuilt after fire. Certificate of Occupancy reads 2007." "Super cute home with great views! Clean energy home SOLAR! very clean move in ready just bring your toothbrush! Large lot 52,272 sq ft. Fenced in area for your pet. large kitchen and great open flow in living room. Really quiet and serene setting. Custom home with many upgrades! kitchen has a walk in pantry, Large master bath with spa tub and glass enclosed shower large laundry room with sink and tons of storage, large front yard and patio for relaxing .Good price great value. Come see for yourself!" "This custom built home is built on stilts enhancing a panoramic view from the front patio and oversized windows within the home. Surrounded by the desert nature , you can sit out in your back yard and watch the local wild bobcats, coyotes and other desert creatures play on your side of your property that runs up to the top of the mountain. This property sits on 1 acre and has 3 large bedrooms and 3 baths. This home has a large 2 car garage and has a very large storage area underneath the house, please come view your next getaway home ." "This home is charming and unique. It offers great spaces and a large lot with enough space to build an outdoor paradise. The home boasts privacy and mountain views. A must see!" "This is a very unique property 5 acres with a beautiful view !!! Well on property, Septic connected"
"Built in 1935, this historic and charming rock house is located just 20 minutes from Palm Springs, Joshua Tree and Pioneer Town. First time on the market in 30 years, this home has recently been remodeled. Renovations included new plumbing and electric, roof, carpet, plastered walls, evaporative cooler, bathroom fixtures, and in the kitchen - new quartz counter tops, cabinets and stainless appliances. Large deck and two renovated sleeping cabins are in the backyard. A rural setting, this property has it's own deep water well and storage tank. Enjoy spectacular views of Mt. San Jacinto and the local mountains surrounding Morongo Valley. Buyer to verify zoning, land use, square footage and permits." "Investors and home finishers wanted! Come see this partially remodeled, beautiful home right across the street from Morongo Valley Elementary School. Close to the main highways so shopping and fun aren't far! More living space than most in the area with over 2100 square feet of living space." 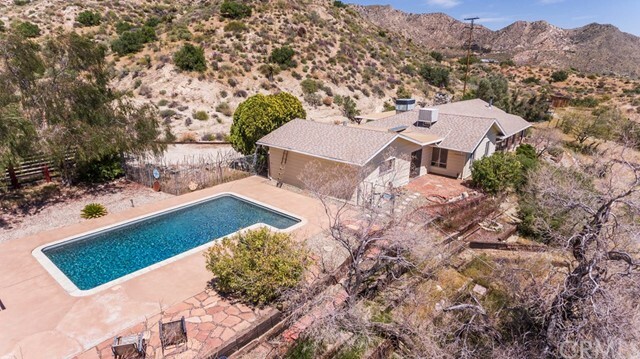 "Morongo Valley home situated on 2.5 acres in a placid, bucolic location. The 3/2 plus bonus room in main home boasts tile throughout with exception of carpet in bedrooms. Home possesses fantastic square footage- nearly 2000 square feet, and ample space for toys, two legged, and/or four legged friends. Double car garage is attached. Raise your own poultry, vegetables, and animals! 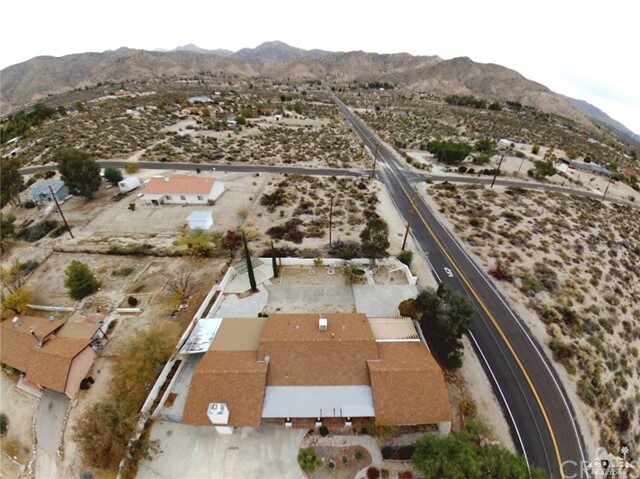 Country living at its best- and only minutes from bustling Palm Springs and Coachella Valley. Tax rolls reflect home as a 2/2." 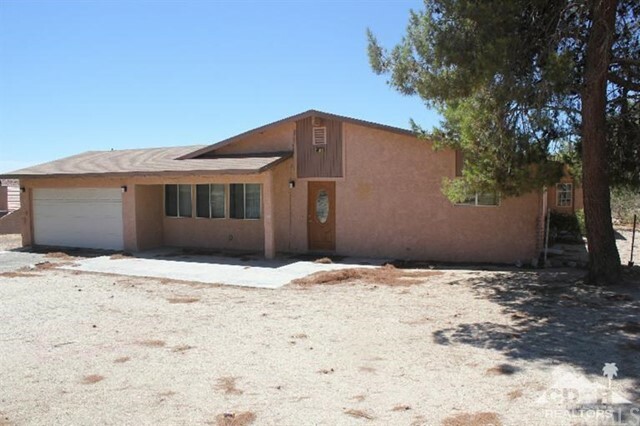 "Come check out this home in a great area of Morongo Valley. This home is a diamond in the rough situated up in the foothills. Home boasts 2 bed, 1 bath on five acres. There are two covered patios, dual glaze windows, new fans, vanity, and new French doors off of the living room. Walk in closet and walk in shower in the master bedroom, There are three containers on the property full of tools, as well as a tractor, trailer and other items on the property that are included in the sale. Refrigerator, washer/dryer, and microwave included as well. There is a greenhouse onsite that stays and with a little TLC can be an amazing garden. If you have horses, you have plenty of space on this property to let them roam. Take in the gorgeous majestic views from this fixer and make it your own!" "Can you imagine having a house large enough for the whole family and all the toys? You can feel good as you move in to your spacious home on a corner lot. This home has RV Parking with storage areas for your RV or Trailer. The house has a yard that can be driven completely through front to back. The home has an open feel with large rooms. The bathrooms have been recently remodeled. The home has been repainted and is move in ready. With a large corner lot there is room grow. You will feel great getting this one before anyone else does. This is the one you have been waiting to make an offer on." "STUNNING VIEWS!! If you're looking for a quiet neighborhood with fantastic views, look no further!! 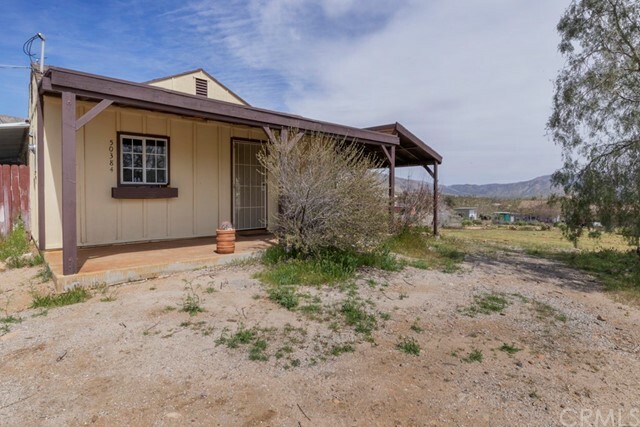 This gorgeous, turnkey 2 bedroom 1 bath home is tucked back in the hills of Morongo Valley. The covered front porch is great for entertaining, barbecuing or just relax and enjoy the amazing views and starry nights! This home offers a newly remodeled pass-through kitchen with new bottom cabinets, quartz counter tops, breakfast bar and dinning area. Cozy living room with a fireplace. Newly remodeled bathroom including new bathtub and vanity. New roof and exterior/interior paint as well as a newly paved driveway. Central heat and air as well as an evaporative cooler. Call now for an appointment to view. Priced right and ready to move in!! This home won't be on the market long!!" "Price Reduced on this beautiful three bedroom, two bath home with great views of Mt. San Jacinto! Remodel work includes central air conditioning and heat as well as an evaporative cooler, vinyl windows, painting, ceiling fans and tile flooring. Kitchen is completely redone with lovely wood cabinetry, updated fixtures, new plumbing and recessed lighting. Multiple windows with 2 blinds make the the room light, bright and open. Five burner natural gas stove, huge pantry and center island complete this lovely and well planned kitchen. All three bedrooms are spacious and come with ceiling fans and blinds. Master bedroom has double closets with closet kit and beautiful new Pergo wood flooring. Master shower features beautiful opaque glass doors and river rock flooring. Slider in kitchen/dining area leads to large covered patio area. Two car garage is attached and back yard is fully fenced with a double gate and a man gate as well. Just minutes from Big Morongo Canyon Preserve and the Sand to Snow Monument!" "The owner will carry with a 30% down payment!!! So how many times have you said, 'I love Palm Springs but it is so hot there'? Well here is the solution to the heat.At an elevation of 2000 feet the temperature is 10 degrees less than Palm Springs. 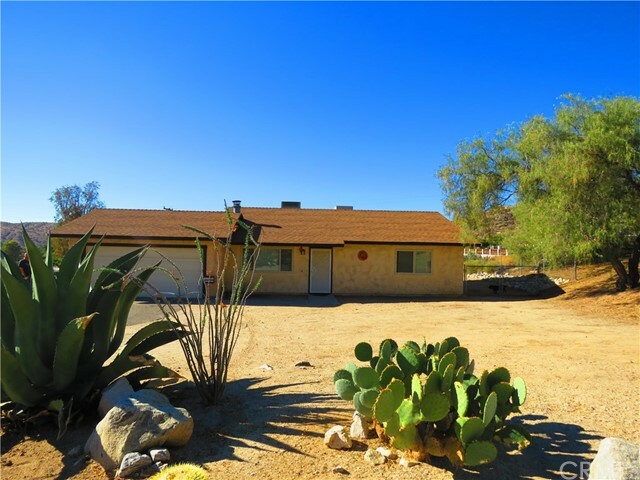 You can be in downtown Palm Spring in 20 minutes without speeding.Here is an affordable 4 bedroom Morongo Valley beauty.Located in a rural setting yet still close to everything. 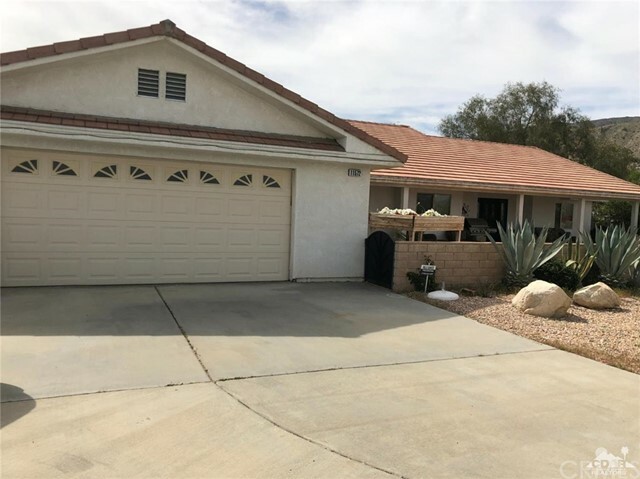 This home has been updated with laminate flooring and tiled bathrooms.A comparable home in Palm Springs would be over $400,000, for a short drive you can save a tremendous amount of money.The summers are 10 degrees cooler for an even bigger savings.Super huge lot with lots of room for RV's and big boy toys. 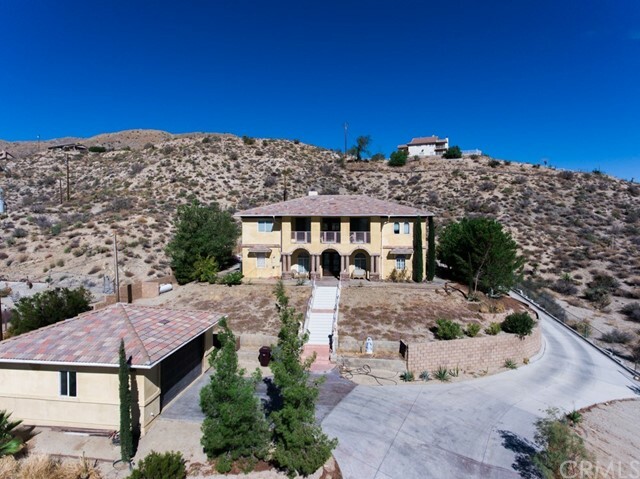 The home is close to entertainment at Willie Boys and hiking at the Big Morongo Canyon Preserve.The home is currently tenant occupied @$1,000 per month.The owner will carry with a 30% down payment." 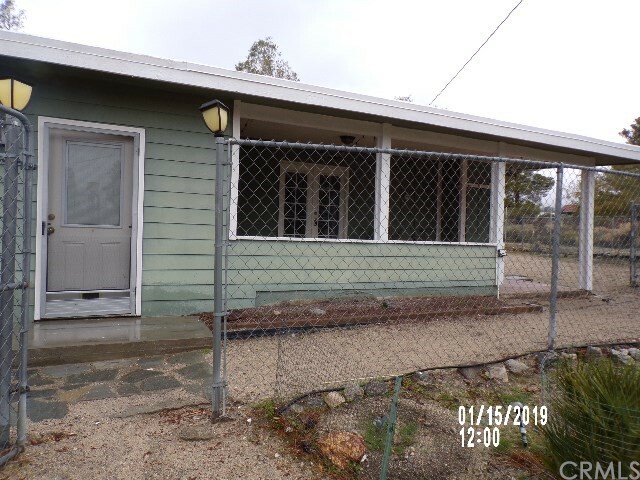 "Check out this charming 2 bedrooms, 2 full bathrooms ranch home! recently upgraded and remolded to give it a modern look! Beautiful open floor living room with newly installed windows and new laminated wood flooring through out the kitchen and living room, upgraded kitchen with brand new stainless steel appliance, new cabinets, granite counter tops, nice size bedrooms with new carpet flooring, sliding mirror closets, newly full size remodeled bathrooms with all new fixtures, and upgrades. This lovely home is a must see to appreciate all the additional features outside"
"Morongo Valley desert hide away, this unique property has 3 bedrooms, 1.75 baths, and a finished Basement that can be used for a 4th bedroom, office or recreation room, includes all appliances, move in ready! 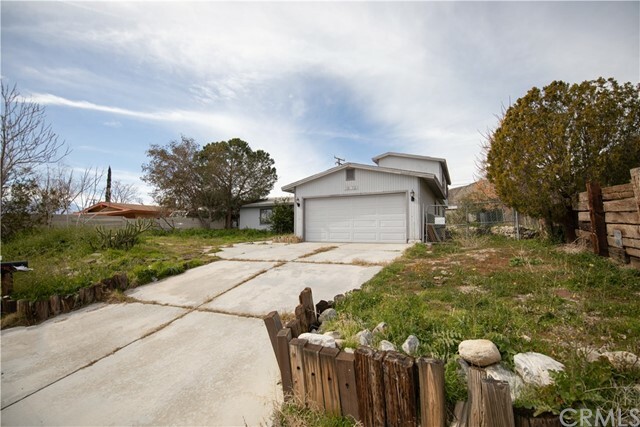 There is also a detached garage, nice front porch, fenced yard, close to town, and an easy commute to Palm Springs." 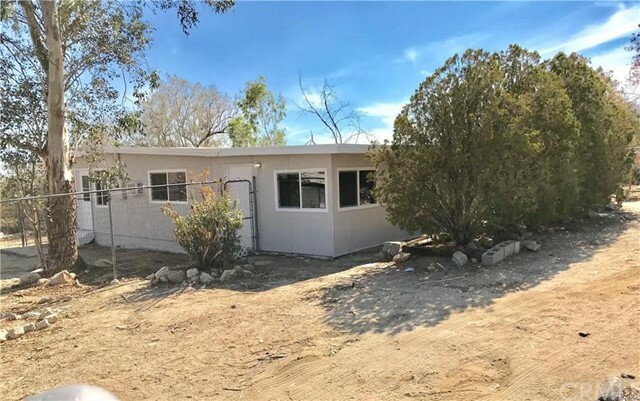 "Come check out this super cute two bedroom one bath house in Morongo. Fully renovated with new floors, kitchen, and bathroom. Open floor plan makes this cozy home feel bigger. Large wood burning fireplace keeps this home warm in the winder and energy efficient evaporative cooler keeps is cool in the summer. 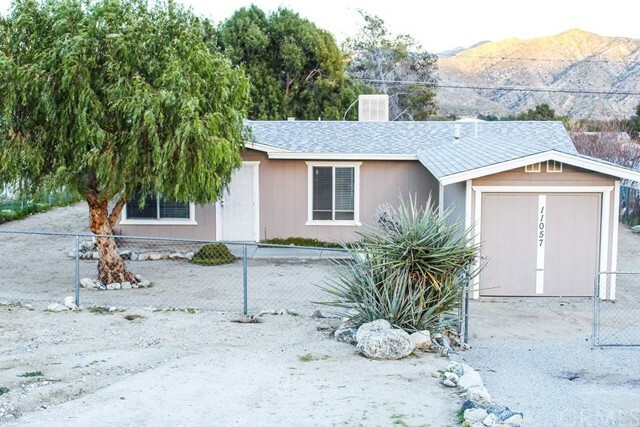 In a quiet neighborhood of Morongo Valley, it's just a short distance to Palm Springs one way and Joshua Tree the the other. Don't miss out on this home, it won't last long!" "You will be captivated by the most breathtaking view that this cozy cabin has to offer. This is your perfect place for a second home or a primary home. 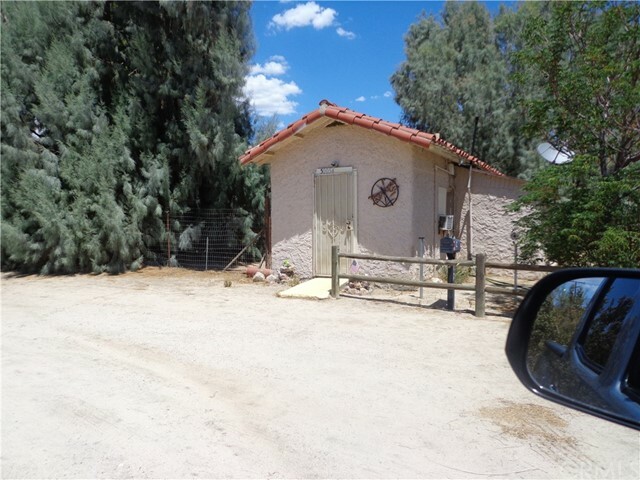 This adorable cabin is not too far off the beaten path and is approximately 20 min away from the Palm Springs area. 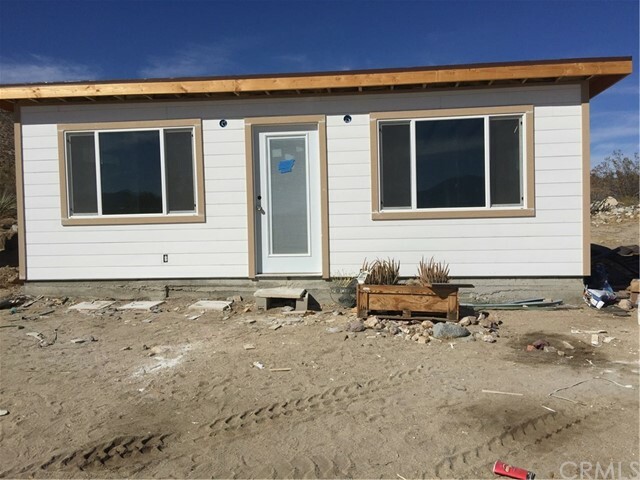 The cabin has exposed beams with newly installed high-quality ceramic tile floors, new drywall, new roof, new siding, new rough electric and plumbing, new insulation, new front and back doors, new windows that bring in the magnificent view of Mt. San Gregorio. The floor plan includes a kitchen, bedroom, laundry, and bathroom and closet area. The property is waiting for your finishing touches. There is also an outbuilding and storage container on this property. This is a must see to appreciate kind of place, make your appointment today and don't miss out on this opportunity. ***Financing Available***"